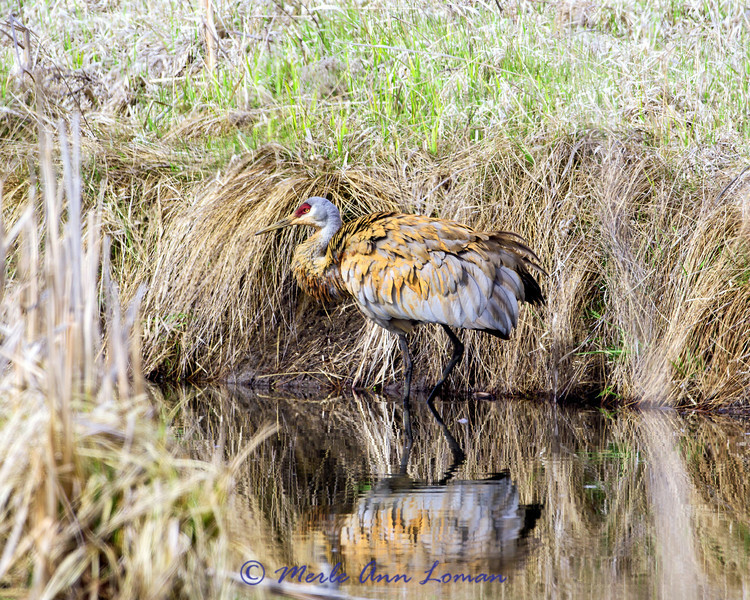 Sandhill Crane - Grus canadensis - Summer (breeding) resident in all of Montana. The Sandhill Crane does not breed until it is two to seven years old. It can live up to the age of 20. 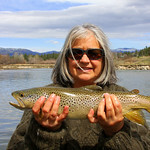 Mated pairs stay together year round, and migrate south as a group with their offspring. It congregates in huge numbers in migration. The common name of this bird references habitat like that at the Platte River, on the edge of Nebraska's Sandhills in the American Midwest. This is the most important stopover area for the Lesser Sandhill Crane (Grus canadensis canadensis), with up to 450,000 of these birds migrating through annually.